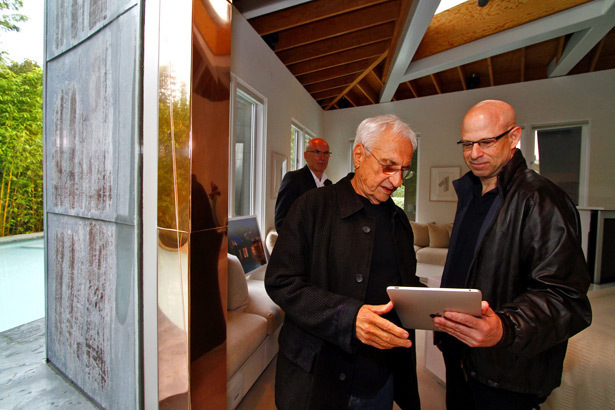 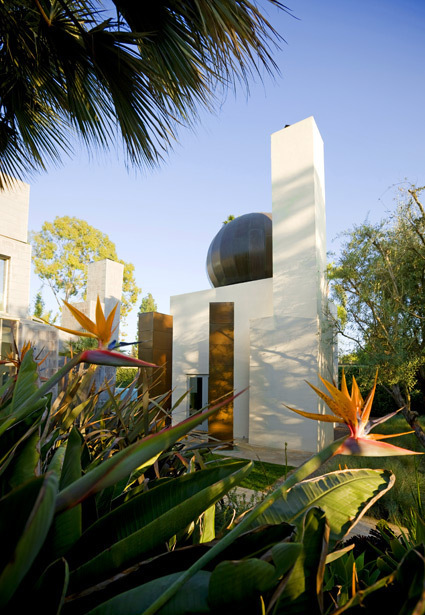 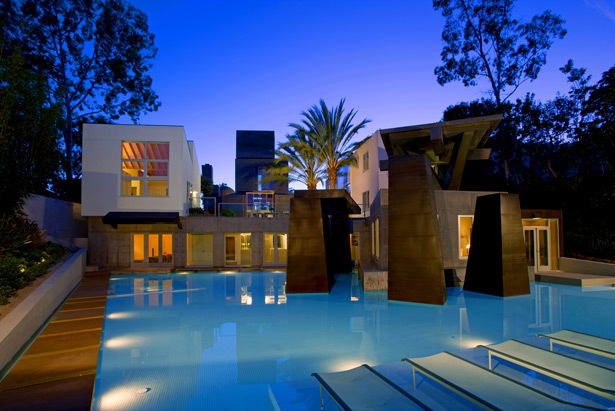 Built in 1989, Frank Gehry's Schnabel House in Brentwood (Los Angeles) has been called many things: free-form architecture, career watershed, family home, status symbol, sculpture. 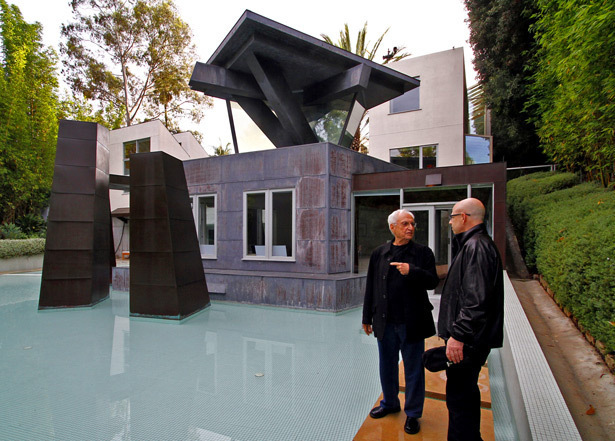 The house has five bedrooms and five bathrooms and has been described as "a village that looks inward". 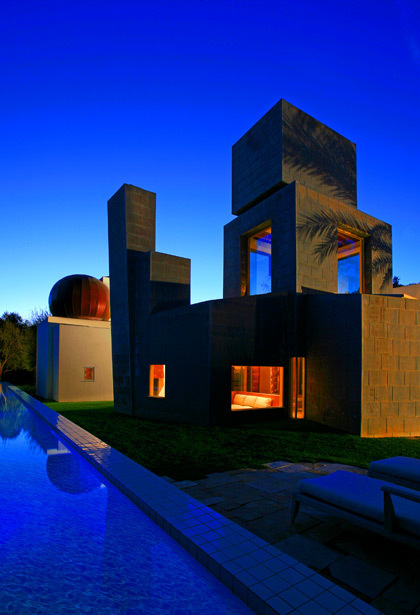 The half-acre of grounds include a swimming pool, a reflecting pond and an olive orchard. 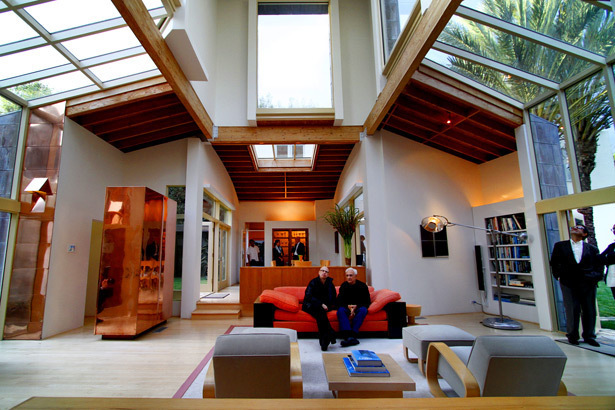 There is a main house, a guesthouse an office and a garage-and-gym building with a breezeway.